I took a great picture.... but it was on my cell phone. I sent the picture in, and to my delight, they printed it FULL FRAME. I picked the frame and the matte. The service was quick, and the products was excellent. I could not have printed it, and taken it to the local framer, for the same quality and price. This frame was perfect for the posters. Well-made and easy to frame yourself. Really attractive! 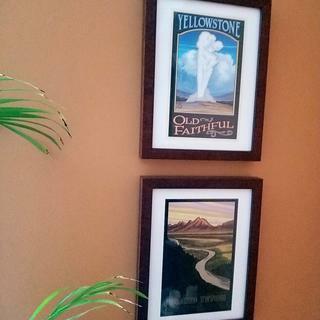 The small posters I bought on my trip to Yellowstone and Grand Teton NPs look great in these frames. Its always a concern to order a frame hoping it will match the same item from a few years ago - but you did it! The stain and the quality hasn't changed and I have another happy commission customer for my artwork. **two thumbs up! The frame was even better than I expected! The corners were perfect and the wood was solid. They even shipped it really well — I was impressed with how protected it was! We were so pleased we are ordering another frame this weekend! GLD5 Walnut Frame worked perfectly for our art! How to rate this? The frame I received is lovely, worthy of 5 stars--the materials are fine, the construction and workmanship are first rate, and the matting I ordered and received was perfection itself. And the service, packaging, and delivery were outstanding. However, the frame I received was not the frame I was anticipating--the side-angle product shot on the website portrays the edges of this frame as black, which was an important design consideration for me. They are not--they're walnut. The main product image is HIGHLY inaccurate and misleading. I kept the beautiful frame, but it cannot be used as intended, so it loses a star across all categories. Nice to find place that makes frames to fit our needs. I like the visible wood grain and the fact that the frame is relatively narrow. Nice modern, clean lines with a classic finish. Very nice. To exhibit my fine-art photography. 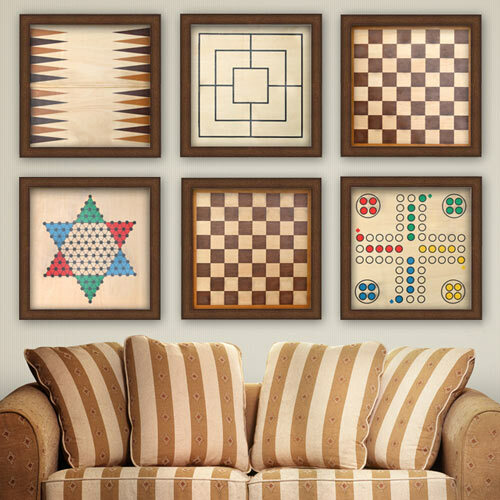 Closest match to other frames in the grouping and fits the space. This is a repeat order for this particular frame - it looks sharp and compliments both a variety of artwork styles and home decor. 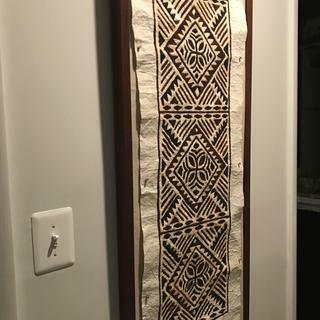 It was simple and would complement the artwork (which in this case are Native American textiles woven in tans, grays and black) without distracting from it. It also had a deep enough rabbet for the combined artwork, acrylic and backing materials I plan to use, and finally - seemed like a pretty good price! Looking for a simple wood frame in a color that would complement my work.